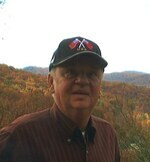 Judson “Juddy“ Bailey - age 79 of Washburn, was born on February 27, 1939 and passed away peacefully on Sunday, February 10, 2019. We all called him Pap. He was a member of Nave Hill Baptist Church. He loved his family, hunting, playing cards, dogs and driving around. He spent his last few months putting on his shoes and saying “I believe I will go home”. He is finally “home“, peacefully in the arms of Jesus. He is preceded in death by his parents, Roy and Roma (Liford) Bailey; sisters, Reba Nicely and Polly Beeler; brothers, Roy Bailey, Jr. and John Bailey. Judson is survived by his son, Terry (Teresa) Bailey of Maynardville; daughters, Carol Onks of Beebe, Arkansas and Teresa (Bobby) Cox of Maynardville; grandchildren, Jason (Lindsay) Bailey, Sami Jo (Barron) Booker, Chase (Kara) Cox, Chelsea Cox, Jordan Onks and Talor (Griffin) Glaude; great grandchildren, Bryson Bailey, Makynli Yarbrough, Emma Blair Bailey, Autumn Cox, Alyssa Cox, Lydia Onks, and Lynnleigh Glaude; sister, Rachel Ingle of Washburn; sisters-in-law, Ann Bailey and Deloris Bailey; and several nieces and nephews. The family would like to express a special thank you to the sweet caregivers at Westmoreland Health and Rehab Center.